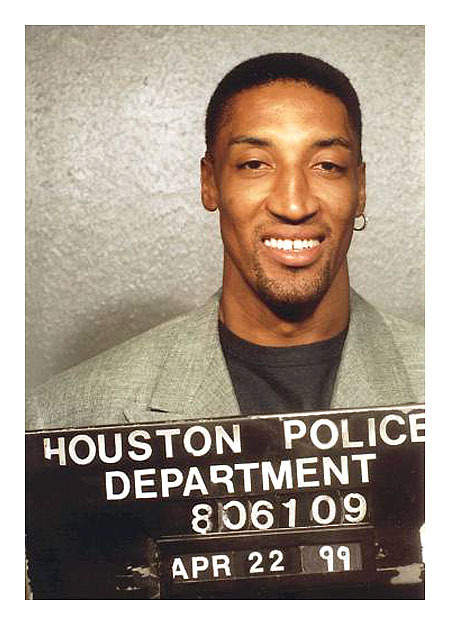 NBA Crime Library is an extensive library of every (known) arrest of an active NBA player. Currently we’re up to over 350 total arrests and 60 mugshots covering all 30 franchises and spanning the last 65 years. Or use the search bar to the right to search by name, team, crime, year, etc. Finding and organizing all of these arrests has taken a lot of time scouring the internet, and we hope you enjoy! By all means feel free to link to the site but please provide credit. Details: Bird was arrested and accused of assaulting his girlfriend following an argument. She accused Bird of strangling her and throwing her against a wall. She said Bird would strangle her until she went “limp,” allow her to catch her breath and begin choking her again. She also said that Bird kicked her multiple times in the stomach and dragged her away from the door when she tried to leave before shutting her into a bathroom. She was able to escape only after Bird passed out with “seizure-like” symptoms. Details: Smith turned himself in to police to face charges that he broke the cellphone of a fan who tried to take video of him in the middle of the night outside a Manhattan pizzeria. The charge stems from a report by a man who said he recognized Smith walking by and tried to record him using Snapchat, police said. The man alleged Smith responded by snatching away his phone and heaving it across 10th Avenue into a construction zone, breaking the screen. This is Smith’s fifth career arrest, the most of any active player. Details: Dorsey was pulled over by a police officer who saw him driving a Land Rover Discovery without its headlights or taillights on. The SUV stopped, then kept rolling forward before stopping again. Officers then saw an open container of alcohol on the floor of the passenger’s side of the SUV. Details: The University of Arkansas Police Department cited Monk on charges of careless driving and no proof of insurance after the single-vehicle wreck. The Hornets rookie crashed into the gates outside of the University baseball stadium. 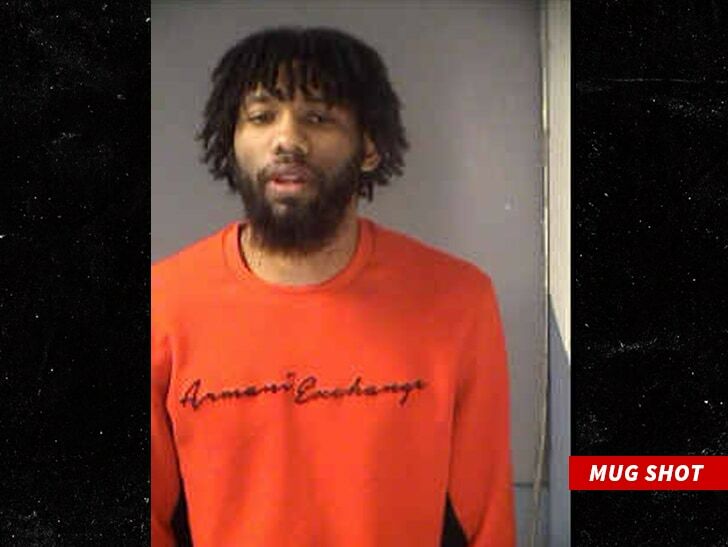 Details: Bembry was pulled over after an officer saw his purple Dodge Charger apparently racing another vehicle on an interstate in northeast Atlanta. Officers visually estimated the pair were driving at speeds close to 150 mph in a 55 mph zone. Details: Plumlee was charged with fifth degree marijuana possession following an arrest in Shelter Island, New York. No other details have been made public. Details: Young was arrested in Hollywood during a late-night stop for a routine traffic violation and charged with delaying an investigation, a misdemeanor. Officers say Young didn’t obey their orders, became upset and caused a delay. No further details were provided. Details: Faried and two friends were pulled over at a DUI checkpoint early Sunday morning, at which point officers detected “a strong odor of marijuana emanating from the vehicle.” Faried was charged with fourth-degree possession of marijuana, a misdemeanor for those allegedly in possession of more than 2 ounces of marijuana. Details: Brown was tased and arrested after a confrontation with officers in a Walgreens parking lot over a parking violation. Body-cam footage was subsequently released showing Brown being cooperative and the officers’ using excessive force. Charges were subsequently dropped and Brown has plans to sue the Milwaukee Police Department. Details: Officers were called to a Georgia hookah bar in response to reports of an altercation. Security footage captured Schroder and several individuals in a heated exchange with another patron. Schroder allegedly shoved the victim, and then kicked and punched him until security pulled him away. The victim sustained scratches to his right knee and complained of right ankle pain, according to the report.